Description: Sized 25" x 36". 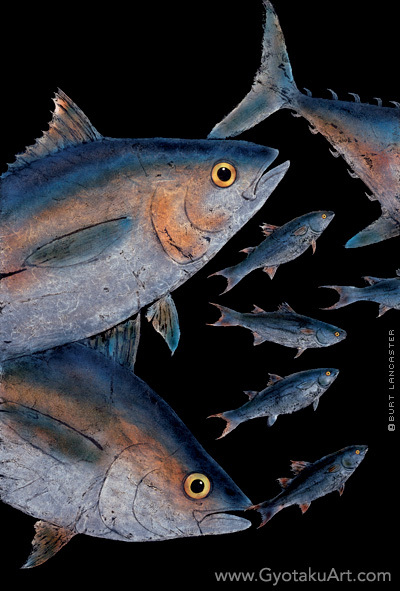 Multiple tuna are chasing bait fish on a black background. Giclee is available. Species: Average catch 20 lbs. World record 45 lbs. Found near shore and offshore in salt water. Hard fighting and excellent eating make the Black Fin Tuna a sought after prize.